Robert Helenius says he’ll knockout Dillian Whyte and ruin his World title dreams when they clash for the WBC Silver Heavyweight title at Principality Stadium in Cardiff on Saturday October 28, live on Sky Sports Box Office. 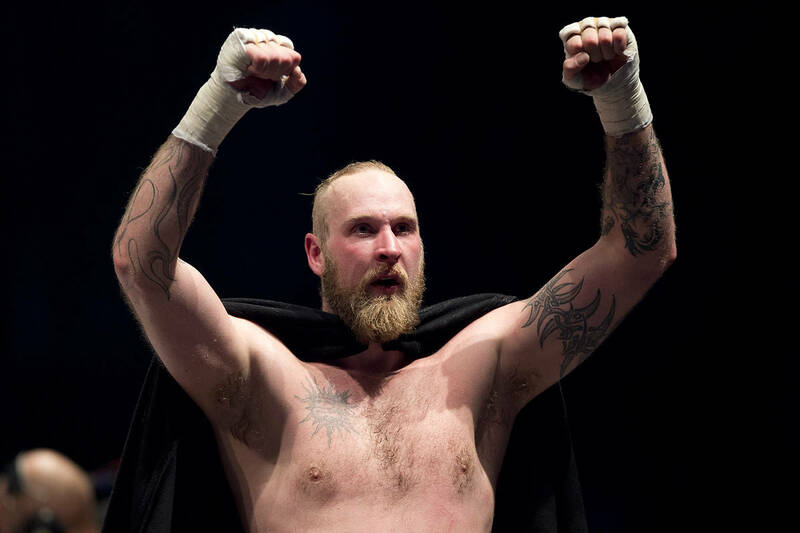 Helenius and Whyte both know that victory on Saturday night will be a giant step towards a clash with WBC king Deontay Wilder, the brash Oklahoma KO machine that is hunting his own showdown with Saturday night’s headline star Anthony Joshua. Whyte has been calling our Wilder and would also relish a rematch with old foe Joshua, but the ‘Nordic Nightmare’ is in no doubt that he is coming to rip up that script and will do so by knocking out ‘The Bodysnatcher’. “I will definitely win by knockout,” said Whyte. “He will definitely fall. I know it will be a tough fight, but it will be a tough fight for Dillian more than it will be for me, and it will be a loss on his record, that’s it. I hope he stands and fights with me and doesn’t run, as his reputation suggests. “I have absolutely no worries about ring rust because I am always, always in training. I feel I have ten years left in boxing, and during this time I will definitely become word heavyweight champion. I have no doubts. “This is my fight, not his, and I do not care about Whyte or what he does well. I have seen his fight with Joshua, where he was knocked out, and he will suffer a similar defeat when he steps in with me. Make no mistake, I am coming to the UK to conquer! Helenius’ clash with Whyte is part of a huge night of action in Cardiff where Joshua defends his World Heavyweight titles against Carlos Takam, one of three World title clashes as Katie Taylor challenges WBA World Lightweight champion Anahi Sanchez and Kal Yafai defends his WBA World Super-Flyweight title against Japanese mandatory challenger Sho Ishida. There’s a mouth-watering British and Commonwealth Light-Heavyweight battle between Frank Buglioni, Lenroy Thomas and Dave Allen rematch for the Commonwealth Heavyweight title and Team GB Olympian and Welsh talent Joe Cordina appears in his fifth pro outing. A limited number of tickets remain on sale via www.StubHub.co.uk. Accessibility, ambulant and wheelchair tickets – please contact the Principality stadium via 02920 822432 – also on sale from midday Tuesday. Official hospitality packages are available to purchase directly from Principality Stadium Experience. Both private suite and premium lounge packages are available to purchase, with prices starting from £450 per person + VAT. For further information please call the team on 02920 822 413. Please ensure you plan your travel into the city before purchasing your tickets and allow plenty of time for additional security checks at the venue – please visit http://www.principalitystadium.wales/events/v/joshua-v-pulev-2017-10-28 to view the travel page for the event.